We’ve been making wine here for more than 40 years. Our winery sits on the original five acres that established Napa Cellars in 1976 along historic Highway 29 in Oakville. We still welcome guests to our tasting room in the geodesic dome commissioned by founder Charlie Woods. And we tip our hats to the prominent Napa families, from the Franks to the Rombauers, who graced our cellar during its storied early days. Today, we carve our own path, building on that rich heritage to craft wines that are a classic, unmistakable interpretation of Napa Valley. We offer award-winning varietals blended by skilled Winemaker Joe Shirley, each of them offering tremendous quality, value and consistency vintage to vintage. The Napa Cellars tasting room is a uniquely refreshing experience in the Napa Valley. Down-to-earth, laid-back and fresh are the words that best describe the tasting room where you’ll often find guests rocking out to AC/DC. If you want to have an entertaining and fun experience in the Napa Valley, this is the tasting room to visit. Located in the center of the Napa Valley, surrounded by prime Oakville vineyards, the Napa Cellars tasting room boasts several features that have guests returning time and time again. First, this tasting room pours an exceptional selection of beautiful Napa Valley and California wines including varietals from Folie à Deux, Napa Cellars, and Ménage à Trois. Second, the Folie à Deux and Napa Cellars experience continues outside the walls of the tasting room. Wander through the winery’s grounds and don’t forget to bring your lunch! You can lounge in the beautiful picnic area surrounded by some of Napa Cellars’ finest vineyards. There are several tasting flights to choose from and all fees are priced at only $5. 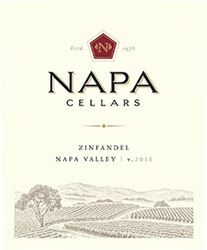 To join the wine club, visit www.napacellars.com or call 707-944-2565. The cost of the club selections average $80-$120, tax and shipping is additional. Club selections include three bottles of red and/or white wines and are released four times per year: Winter, Spring, Harvest and Holiday. Our beloved Napa neighbors are entitled to a complementary tasting of our classic flight. Napa neighbors also receive 15% off wine and merchandise purchases.